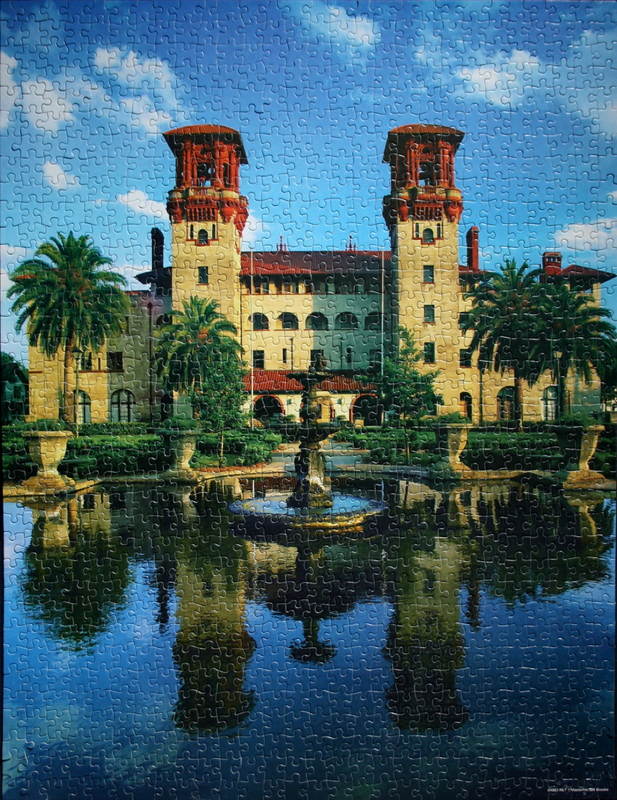 Puzzle: St. Augustine, Florida, U.S.A. 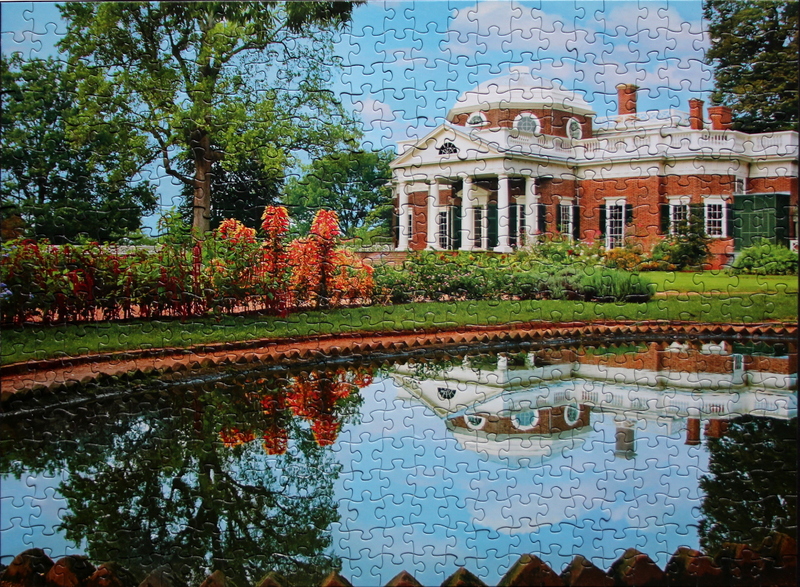 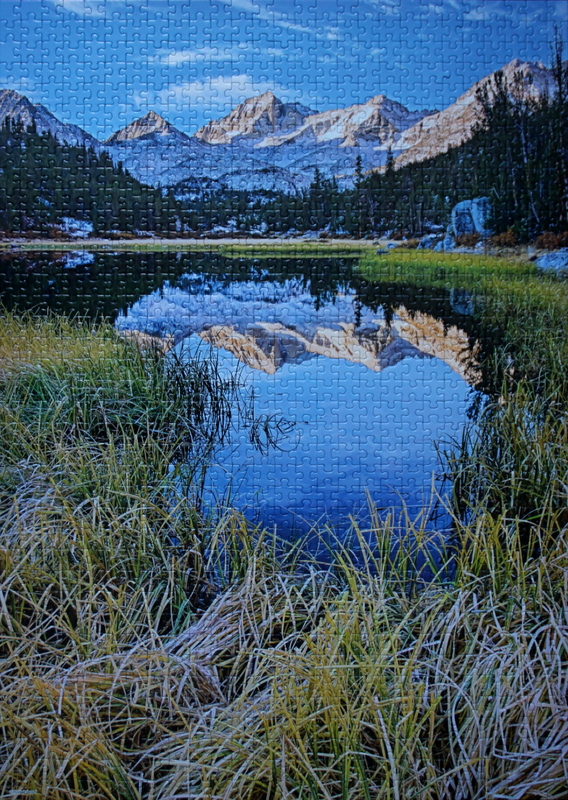 Puzzle: A not-completely trivial puzzle to complete due to the large areas of sky, water, and similar dark regions of the reflections in the water. Good places to start are the red parts of the roof, the arches of the windows and doorways, the building walls, and the brighter water of the fountains. 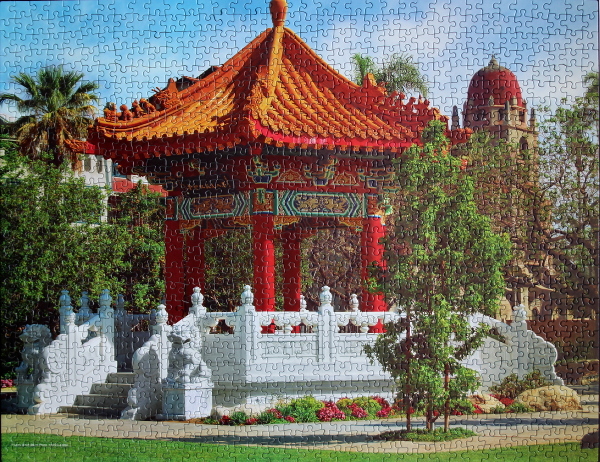 The stone vases and the palm trees can follow. 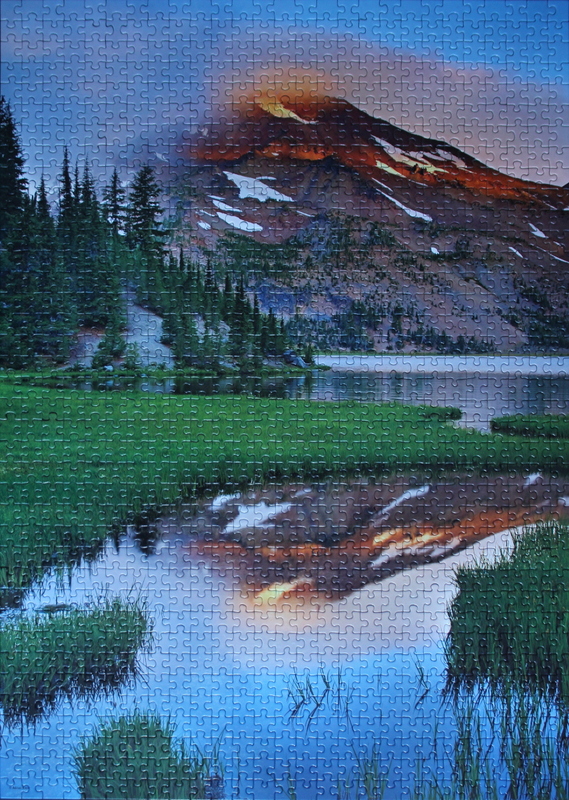 From that point on, the sky, the water, and the reflections are relatively similar in terms of complexity to assemble. 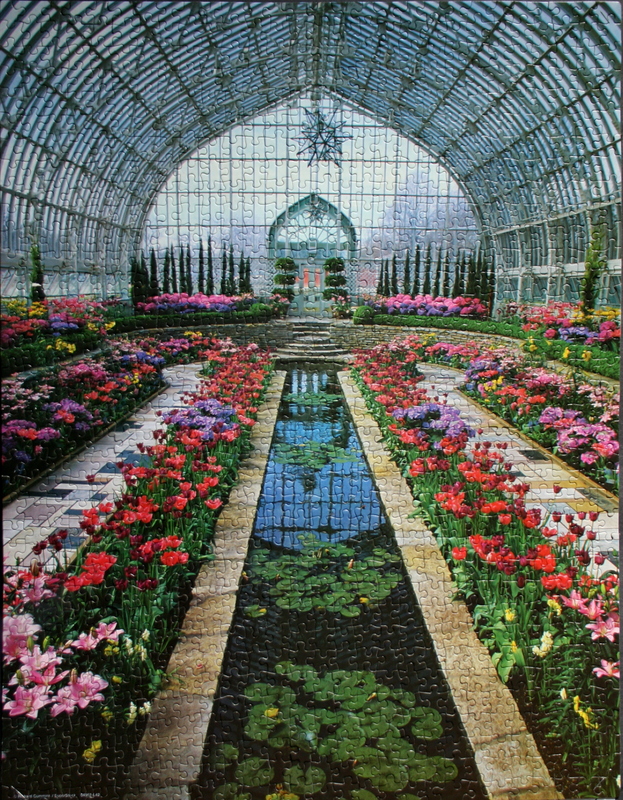 Puzzle: Como Park Conservatory, St. Paul, Minnesota, U.S.A.
Producer: MB Puzzles, Big Ben? Note: I no longer have the box, so if you have any additional information on this puzzle (such as the producer), please let me know. 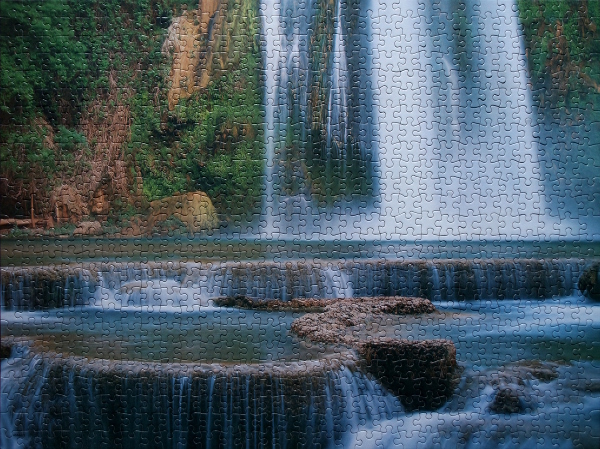 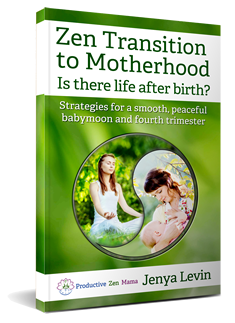 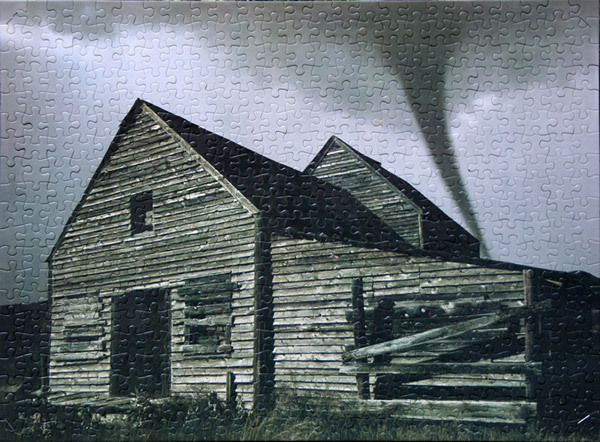 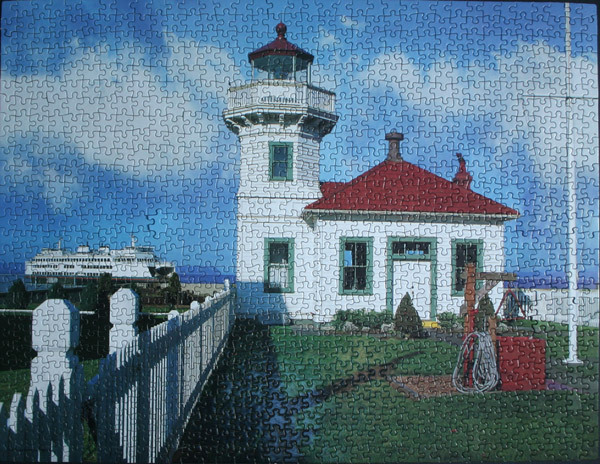 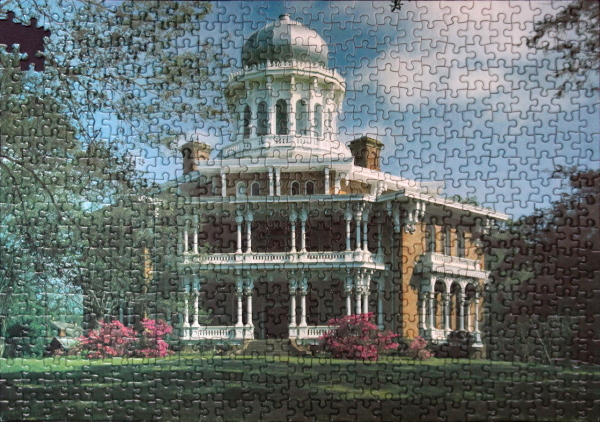 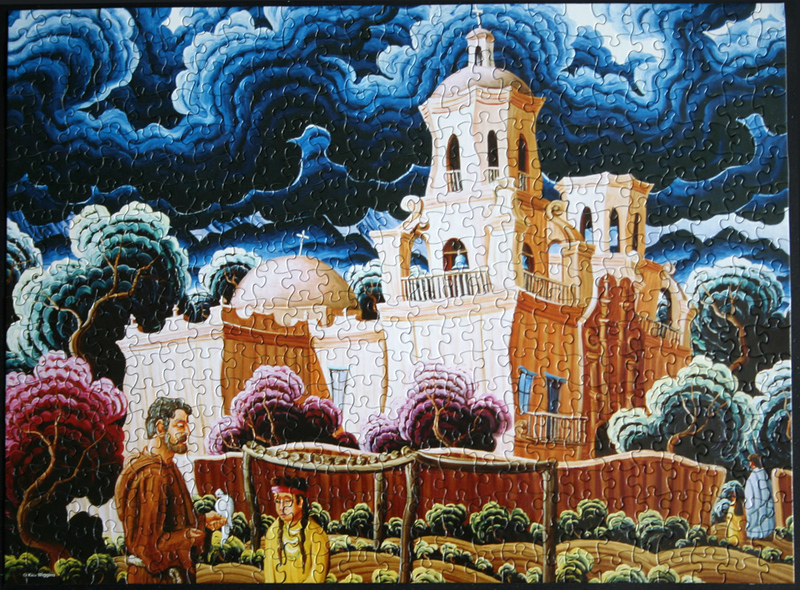 Puzzle: The puzzle is relatively easy to complete, and the pieces fit together well. 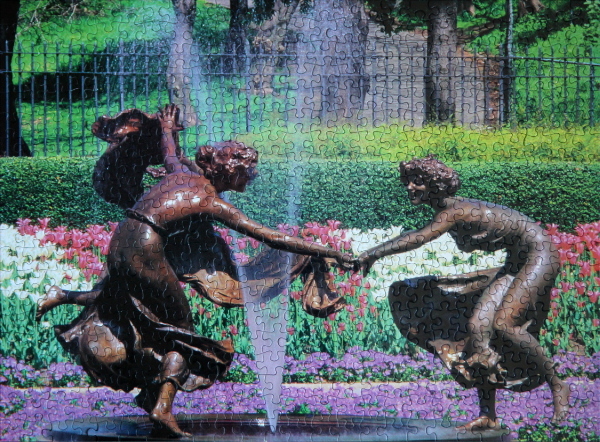 The regions that can be approached first are the paths on each side of the water and between the flower beds, the water, the glass wall in the background and the glass walls. The larger flowers can follow, leaving the rest of the flower beds to fall into place. 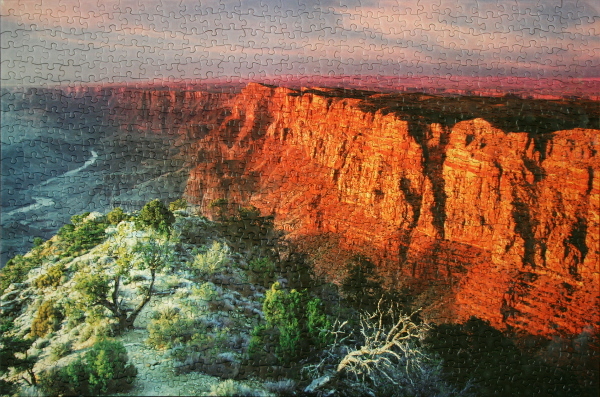 Good lighting is a bonus for this puzzle. 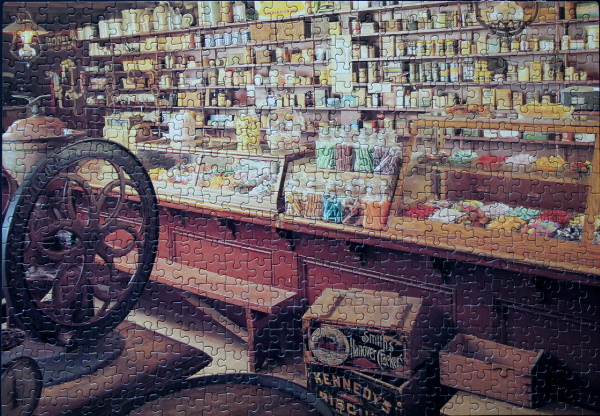 Puzzle: Simple puzzle to do. 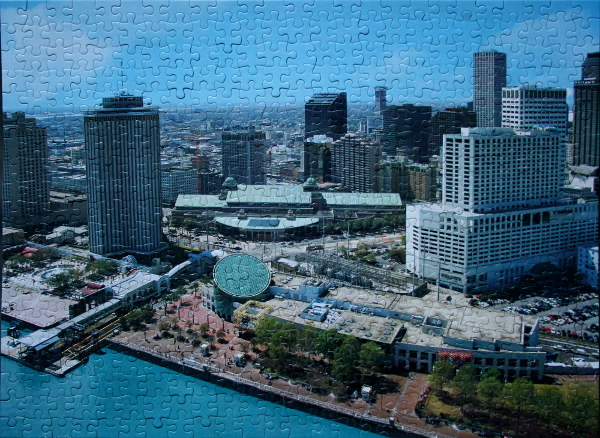 Starting from the uniform areas of colour: the water, the sky, the green of trees, the circular structure and the light green roof of the low building can be followed by the beige roof with blue regions, and the larger skyscrapers. From that point on, there are enough vertical guides for the rest of the pieces to follow. 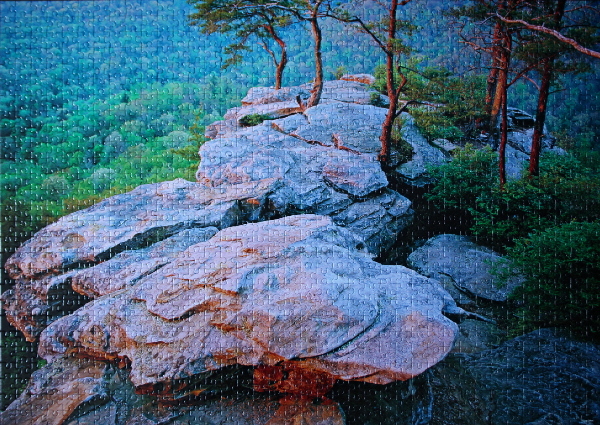 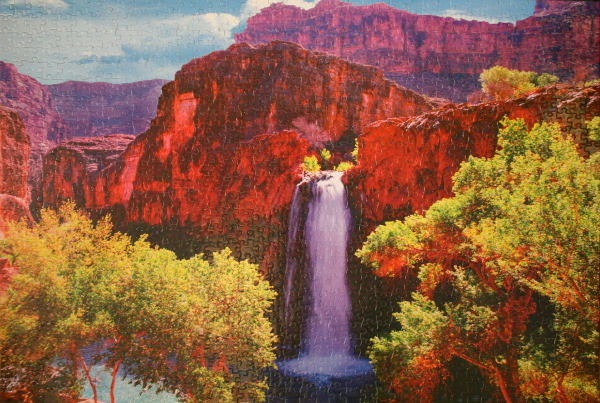 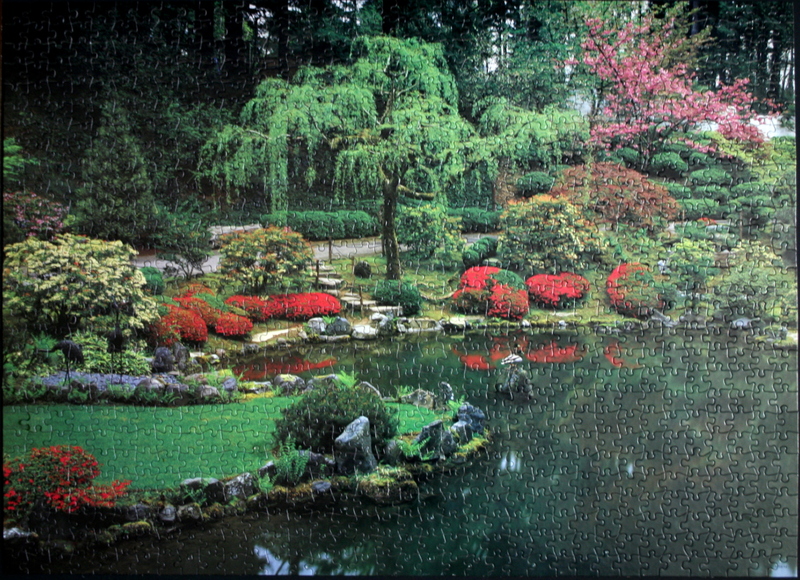 Puzzle: The sky, trees, and the horizon with narrow flower rows of different colours are the easy part of this puzzle. 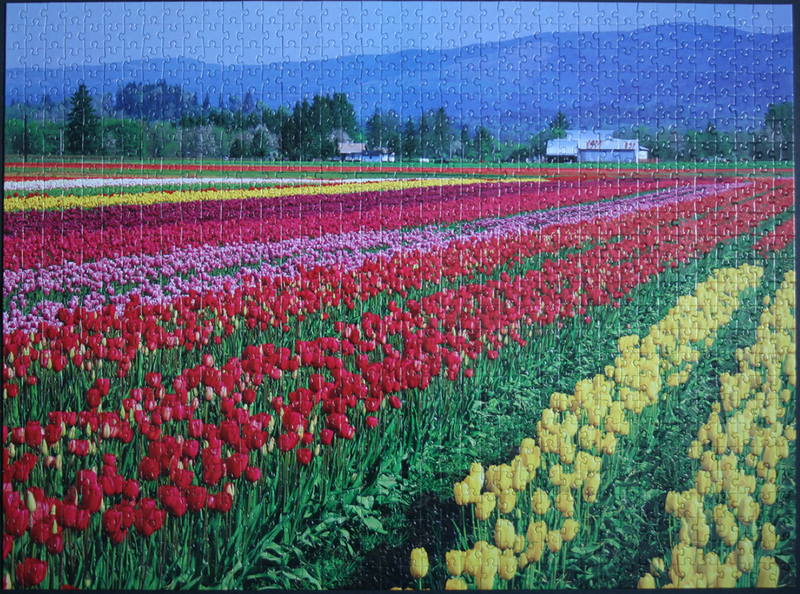 The yellow and red tulips, together with green leafy regions present more of a challenge. 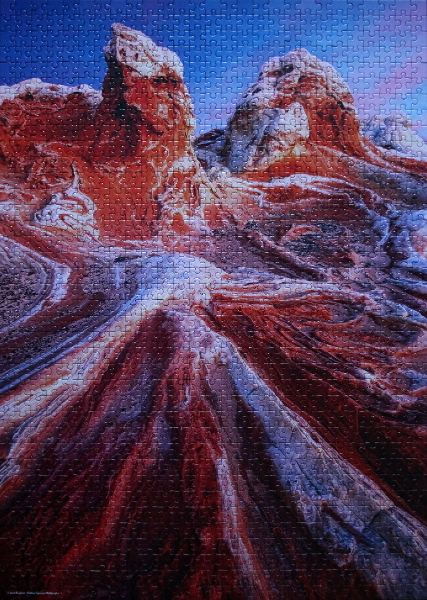 Not very hard to complete, but having good lighting is a bonus. Notes: Indiana is a US state, admitted to the United States as in 1816. It is located in the midwestern and Great Lakes regions of North America. Its capital and largest city is Indianapolis, the second largest of any state capital and largest state capital east of the Mississippi River.